Friday, 20 April 2018, 10:45am. 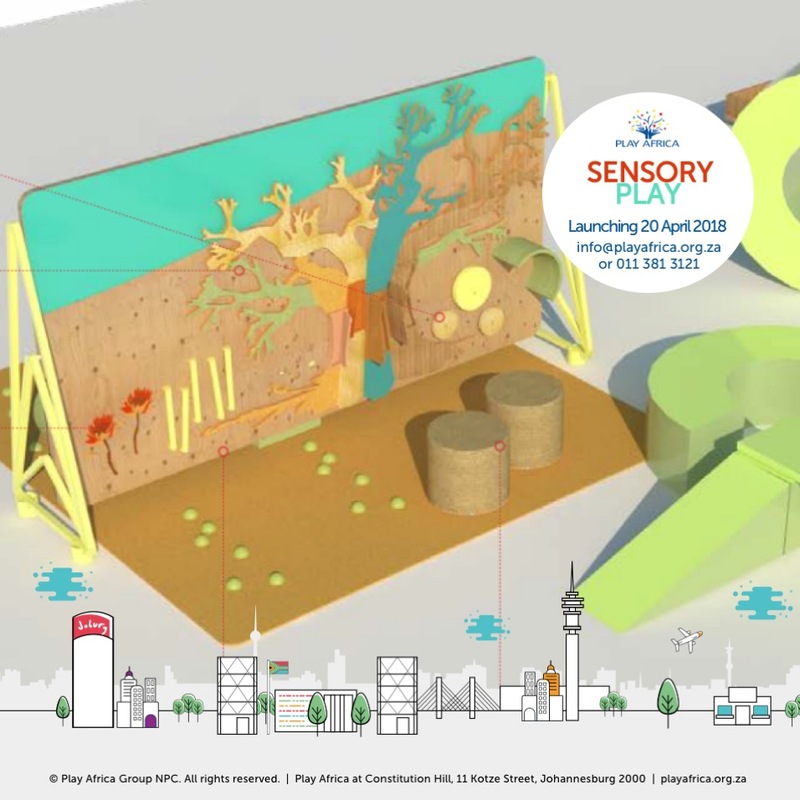 JOHANNESBURG (18 April) – Play Africa announced today the launch of its new Sensory Play exhibit, a unique hands-on play environment created especially for children with autism and their families. World Autism Awareness Month is currently underway during April 2018 and this initiative nurtures autistic children’s own concept of themselves and their rights as secured in the Constitution. The proudly South African children’s museum exhibit, inspired by global examples created for children with autism and sensory processing disorders, was designed and built in Johannesburg by Play Africa and local small businesses. It is designed to be easily transportable, and can be set up to serve children around the country in schools, community centres, even parks. There will be a special ribbon cutting event at the Gauteng Department of Basic Education’s Autism Conference at The Gateway School in Rumsig, Roodepoort, on Friday, 20 April at 10:45am. 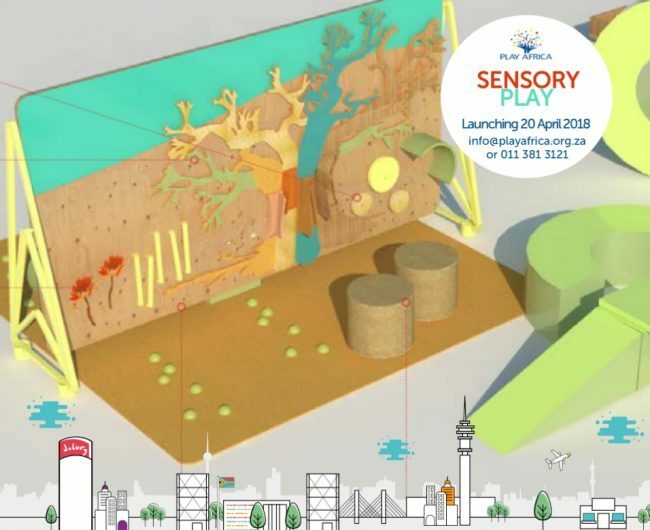 The unique Sensory Play exhibit, consisting of a textured wall designed with a baobab, springbok, blue crane, and king proteas, was developed by Play Africa in partnership with Autism South Africa, other local autism specialists and local design firm Counterspace, with input from families with children diagnosed with autism spectrum disorders (ASD). “Play Africa’s Sensory Play exhibit is an incredible initiative that will help South Africans understand and accept one another — not just children with autism but all children with disabilities and differences,” said Vicky Lamb, national education facilitator with Autism South Africa, the national body for autism in South Africa, which provided input on the design of the exhibit. Play Africa is a non-profit organisation. As one of South Africa’s leading children’s museums, it creates opportunities for young children and families to come together through play at Constitution Hill and in other public spaces around Johannesburg. Its Sensory Play exhibit offers children with autism and other sensory integration challenges a place to come together to play with their siblings, parents and caregivers. To meet the special needs of children with autism, Play Africa will offer the exhibit in environments with reduced sound, designated quiet spaces, extra visual signage and sensory aids. “We’re creating a warm, welcoming, ‘judgment-free zone’ for all families in our city, where all families, including those with children with special needs can come together for special play time in a relaxed environment.” said Mpho Lebona, Play Africa’s Inclusion Coordinator. The initiative is supported by several partners, including Rand Merchant Bank (RMB), the FirstRand Foundation and Rockwood Private Equity; and individual donors. “RMB is proud to support the socially transformative work of Play Africa, particularly as the team strives for inclusion and the mainstreaming of disabilities in all their programmes. Play Africa creates unique opportunities to inspire creativity, problem-solving, critical thinking and personal expression,” said Yvette Nowell, head of the RMB Fund. Play Africa is a proudly South African children’s museum in Johannesburg, providing safe, creative and engaging spaces for children, their families and schools to develop their minds and bodies through sensory play and high-quality learning enrichment. Based at the iconic Constitution Hill, Play Africa transforms and re-casts the former prison into a joyful hub of play, learning and discovery. Through unique exhibits and programmes, Play Africa ignites curiosity and a love of learning in young people, building the next generation of South African inventors, problem-solvers and innovators. Play Africa is made possible through grants from FirstRand Foundation, and the RMB’s Creative Arts Programme, along with dozens of other partners. For more information, visit playafrica.org.za.